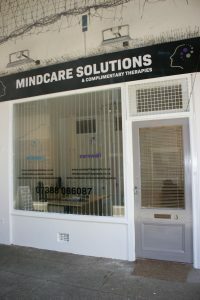 We are pleased to announce that we have now moved into our new Therapy Rooms. The address is: 3 The Arcade, Fore Street, Liskeard, PL14 3JB. Our new unit has been specifically designed for our therapies and is all on one level, (no stairs), which gives better access to all. Receive Email and Text messages about your appointment, including confirmations and reminders. Change your appointments without having to contact us directly (within the terms of our cancellation policy). And in addition to this, over the next few months, we will be offering NEW services including: Reiki and Auricular Acupuncture, Auricular acupressure and Auriculotherapy. All of which, I am sure you will agree, offers a much more improved and smoother service for everyone. Feel free to pop along and have a peek at our new Therapy Room and see what we can now offer. EXCITING TIMES AHEAD FOR CORNWALL HYPNOSIS. Would you like to learn how to hypnotise someone?